We have been in the catering business since 1978 with the Restaurant - Grill La Florida offering you the excellent gastronomy of our region. 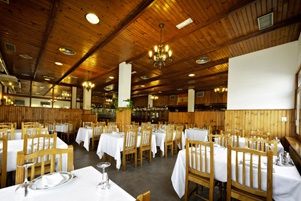 In our large dining rooms you can host receptions and business lunches. Come and enjoy our quality cuisine and unbeatable service we offer you.